Piel Frama is case manufacture you may not be familiar with. I know I wasn't until they contacted me. Piel Frama is based out of Spain, though is an international PDA and cell phone case manufacture. 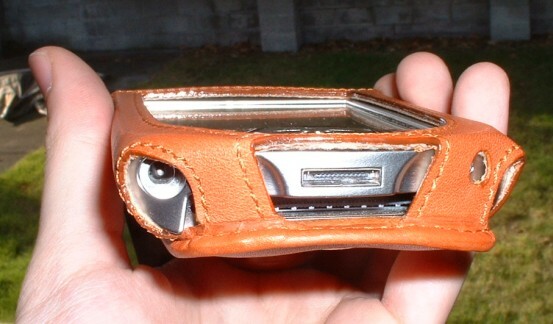 Many of their cow skin leather cases have a similar flip open style. Piel Frama offers over 50 cases for different PDA's and configurations (expansion pack support) and all cases are available in tan, black/tan, and black. For the user that does not want just simple leather, Piel Frama offers luxury cases in cowskin-crocodile and cowskin-ostrich. 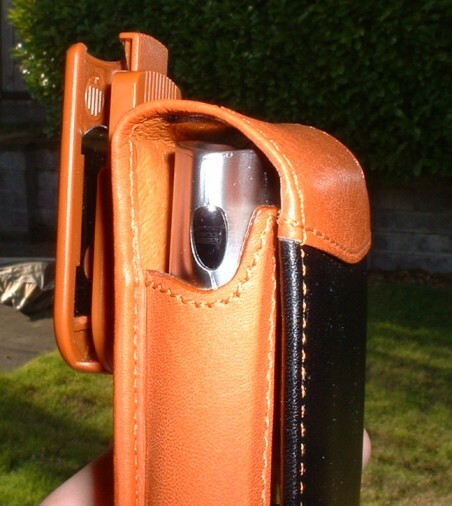 For this review I took at look at Piel Frama's case for the naked iPAQ. I received the Piel Frama case just two days after getting an email from them about the product. Remember, Piel Frama is in Spain and I am in the US. This was rather impressive. But of course that would not be the last thing about this product to impress me. The package contained a simple, yet elegant box with the Peil Frama name and logo on it, making a very nice presentation of the product. 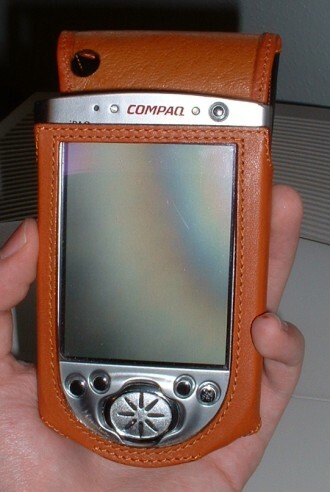 Inside was the black/tan leather iPAQ case. 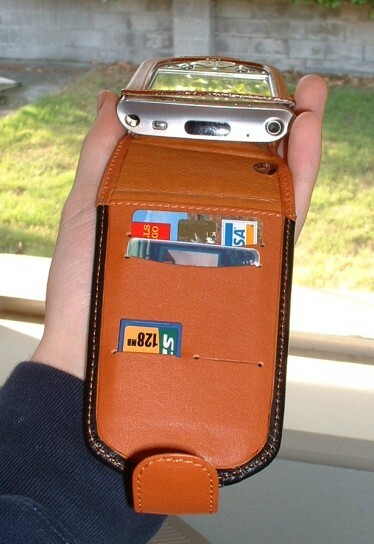 The case is made of nice soft leather which is ten times better then the standard iPAQ case included with the device. The case has a thicker front and back then its sides to improve device padding but not make the device any wider. With the device in the case, the device and case is almost an inch thicker then just the device alone. For me, putting the case (with the device it of course) in my pocket is a viable solution still, though some users may not like the increased size. The however is a problem with many cases, not simply this one. The case has a flip cover design that snaps closed on the back. 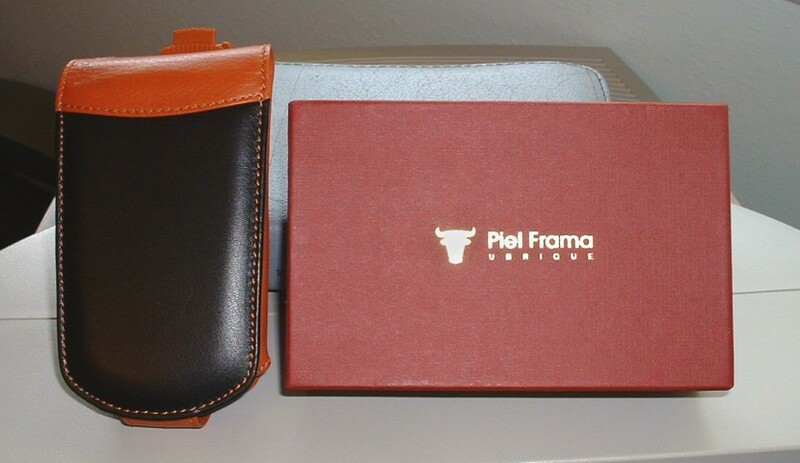 Some of Piel Frama's newer cases use a magnetic closure. Also on the back is a belt clip connection. All Piel Frama cases include the ability to be connected to a belt clip (which is included and matched to the color of the case). Since the connector for the belt clip does not protrude very far from the soft leather, sometimes getting the case to connect to the clip can take some pressure as it does not slide easily. Also, the case does not easily rotate while connected to the belt clip. This can either be a plus or a drawback depending on if you want the device to stay in the same position all the time or if you want it to be able to shift as you move or sit. The inside of the cases has spaces for two credit cards and two SD/MMC memory cards. Since the iPAQ 3600's do not have SD slots, this is not really needed in this case, but is a great feature for other devices. You also can put a CF card in one of the credit card slots if you wanted. The case has opening for all buttons and ports on the device. You can attach headphones or the AC power adapter while the case is closed. If you open the case, you can plug the iPAQ into the cradle without removing it from the case. Also, in the case of the iPAQ 3600, you can soft reset it while it is in the case as the reset button is uncovered. Some users worry about the sync port being exposed but this case will cover it when it is closed and latched. Piel Frama's case is an elegant and practical solution for carrying my device. 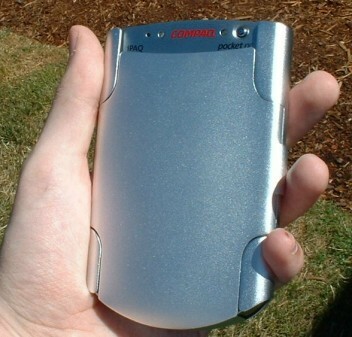 It not only can protect my iPAQ but also gives it a covering that makes it stylish in even a more formal setting. The addition of a belt clip is a big plus as it gives added options for how I can carry my device. Probably the biggest drawback for the products comes with its price. 60 (slightly over $60 US) is a pretty hefty price tag for many users, though Piel Frama will ship it internationally for free. But if you are looking for style and practical case, look no further as Piel Frama likely has a case for your device that will cover both bases. This means, this product is about as close to "the best" as you can get. This product embodies quality in its design and application, and is something I would use. Though you still should consider it for yourself, most would probably be happy with this product even if they were unable to try it prior to purchase.